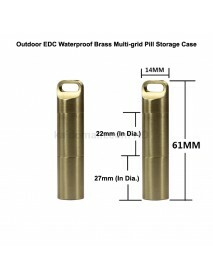 61mm(L) x 14mm(D) Outdoor EDC Waterproof Brass Mul.. 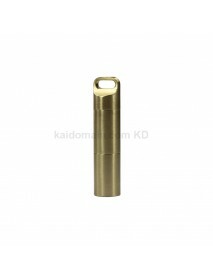 Product Specifications:Material:BrassExternal Dimension:61mm (L) x 14mm (Dia. 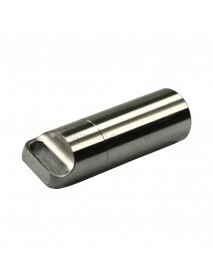 )Internal Dimension:Gri..
69mm(L) x 22mm(D) Outdoor EDC Stainless Steel Wate.. 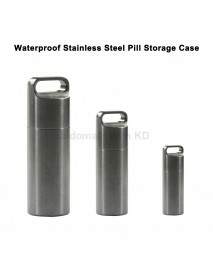 Product Features:The main material selection of 304 stainless steel, not rust, solid stainless steel..
90mm(L) x 21mm(D) Outdoor EDC Waterproof Stainless.. 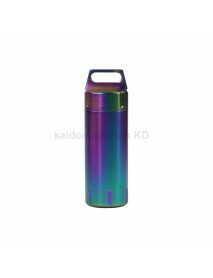 Product Specifications:Material:Stainless SteelExternal Dimension:90mm (L) x 21mm (Dia. )Inner Dimens.. 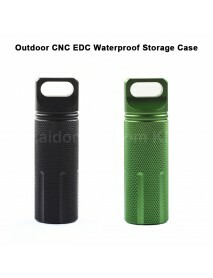 Outdoor CNC EDC Waterproof Storage Case Seal Canis.. 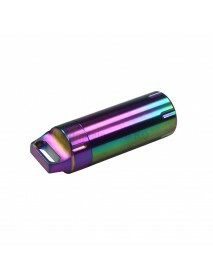 Product Specifications:Material:Aluminum AlloyColor:Black / GreenExternal Dimension:31mm(Dia.) x 100.. 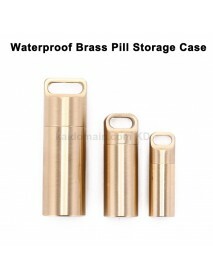 Outdoor EDC Waterproof Brass Pill Storage Case Sea.. 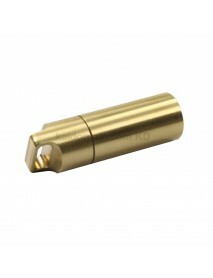 Product Specifications:Material:BrassExternal Dimension:Large: 20mm(Dia.) x 62.6mm(H)Medium: 15.8mm(.. 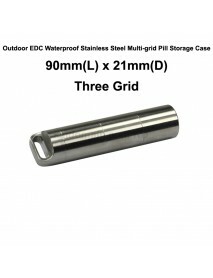 Outdoor EDC Waterproof Stainless Steel Pill Storag.. 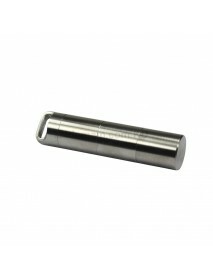 Product Specifications:Material:Stainless SteelExternal Dimension:Large: 20mm(Dia.) x 63.2mm(H)Mediu..